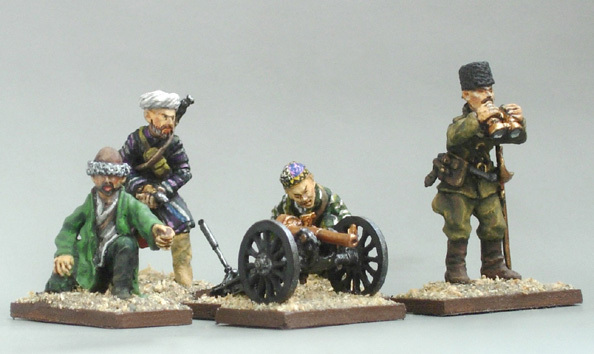 Model of the Austro-Hungarian 7-cm mountain guns with the crew of famous figures of the Central Asian rebels - Basmachi. While the artillery in Basmachi extremely rare, a small number of captured guns yet been delivered insurgents British patrons. One of these guns, captured in battle by the Red Army, is now in the museum, Mikhail Frunze, Bishkek (Kyrgyzstan). Model and the figures are cast from tin-lead alloy.